My two-week G Adventures trip through Mexico came to a beautiful conclusion with two days and nights in Playa del Carmen. Like the islands of Thailand, I felt as though everyone and their mother had already been to Mexico's Riviera Maya, the country's crown jewel of tourism along the eastern edge of the Yucatan Peninsula. Cancun was the over-developed epicenter, complete with international airport, dozens of towering hotels, and a reputation for Spring Break partying. Meanwhile, Playa del Carmen, an hour south by bus, had managed to keep development under control, which is not to say it hasn't been completely transformed over the last 10 to 20 years. But at least you can walk the length of town along a quiet, pedestrian only street, and there are no hotels towering overhead, or cars to content with. We arrived after a long travel day by bus from Merida, taking in the ruins of Chichen Itza along the way. Once we were checked into our hotel for the next two nights, Gaby, our guide, lead us to dinner at 100% Natural. 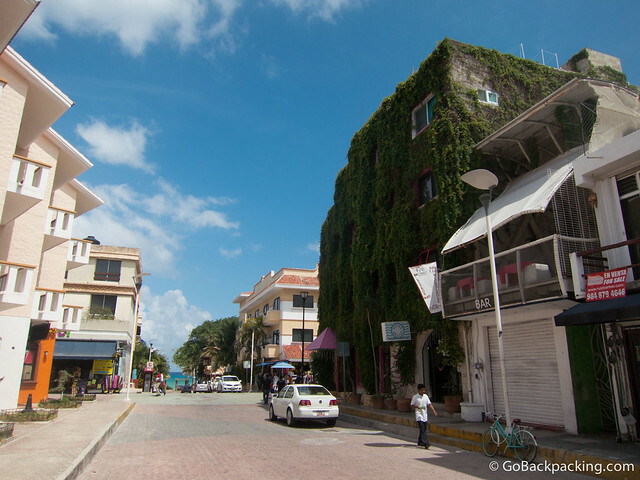 We walked most of the way along Playa del Carmen's main drag, a pedestrian-only street lined with shops, restaurants, cafes and bars. One block over was the beach. 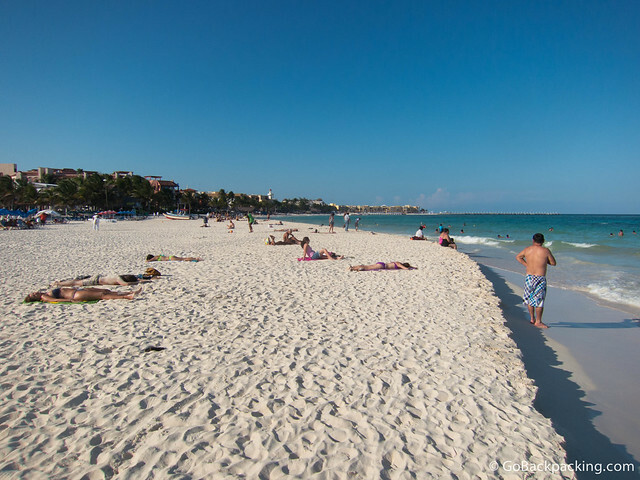 The weather was perfect, there were lots of vacationers out enjoying themselves, and I knew immediately, Playa del Carmen was my kind of town. 100% Natural is a Mexican-owned restaurant chain featuring a menu of health-oriented fruit smoothies and dishes. I ordered a salmon filet with fruit salsa, accompanied by wild rice. After dinner, we headed over to another Gaby recommendation, a dive bar with cheap mixed drinks served in giant Styrofoam cups. Everyone liked the place, and we played a drinking game or two to pass the time. By midnight we were walking around on the streets again, checking out the nightlife scene. It was early in the week, but there were still people out. 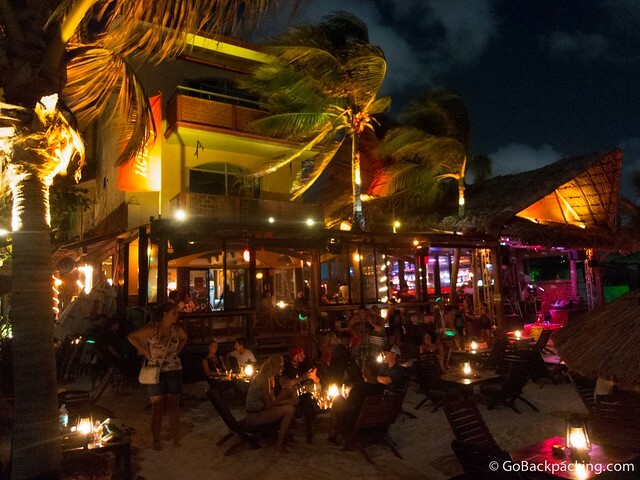 Playa del Carmen is one of those places where time stands still. Every night feels like a Saturday night because everyone is there on vacation, looking to let loose and have a good time. 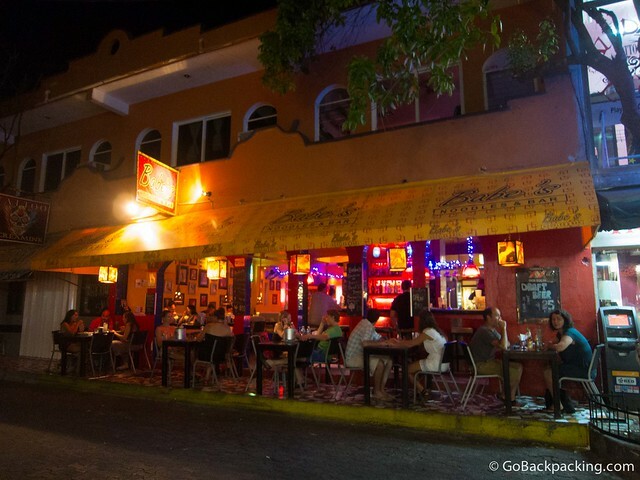 We began splitting up, as some people returned to the hotel, but I managed to last a few minutes in a small reggae bar with a live band before I too called it a night. The next day, we had no activities planned, so I slept late, and took some time to explore town on my own. To my surprise, I ran into Will Peach, a British travel blogger, while walking along the fine white sand. We made plans to hang out later, and went our separate ways. That night, Gaby took us to the Fusion Beach Hotel Bar & Grill for dinner. Oddly, it was one of the few beach bars and restaurants still active at night. We took a table inside due to the size of our group. A constant Caribbean breeze blew right through the place. I loved it. I ordered fish tacos, some of the best of my trip, and far better than the ones I'd ordered way back in Puerto Vallarta for my first lunch in Mexico. Fusion isn't the cheapest place in Playa, but it's hardly the most expensive either. And considering the atmosphere couldn't be beat, I was happy to pay. My four fish tacos costed 160 pesos ($12). I'd return to Fusion at least three more times during my stay in Playa. Some nights they'd have a bellydancer perform, and other nights, firedancers on the beach. It reminded me of Thailand. Dinner consumed, we headed back to the dive bar with its styrofoam cups. 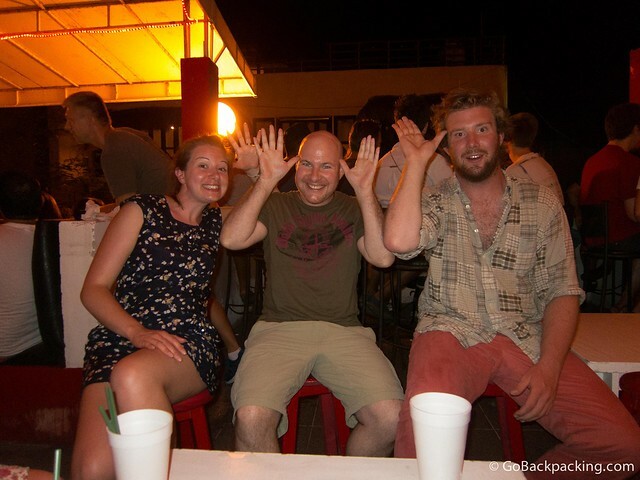 Alex, our guide-in-training (who also worked as a ski instructor for the Aspen Ski School during the Winters), taught us a silly drinking game called Moose. The premise was simple, but it was quite entertaining. A person points to another in the circle. The person pointed to has to raise both hands to their head like a moose. The person on each side of the target needs to raise one of their hands as well. Whoever gets it wrong has to drink. We were laughing so much from the drinking games like Moose that other patrons would look over at us like we were nuts. It was officially the last night of the G Adventures Mexico Civilizations trip, so we were all in a partying mood. 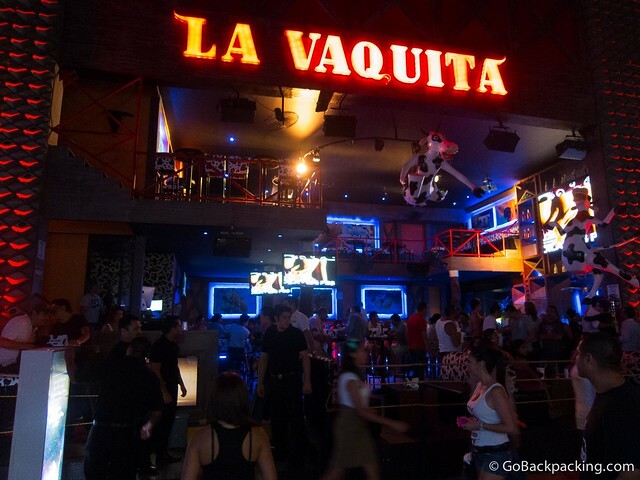 After the dive bar, we walked down to the club zone, and entered La Vaquita (The Little Cow), which had no cover that particular night. Cows hung from the ceiling, and the music was so loud it was all but impossible to hold a conversation. I lasted one beer, or about 30 minutes, before excusing myself because of the loud music. Even though I wasn't there long, I could tell upon leaving that I'd hurt my left ear. Sounds were muffled, and having experienced some short-term hearing loss in my 20's after a particularly loud Warped Tour, I knew it was going to take weeks, possibly months, for my ear to feel normal again. Until then, I'd have to avoid loud music and clubs, and wear my earplugs. The next morning, I checked out of the G Adventures hotel, and into the Hotel Delfin. Covered in green ivy, it was located in the middle of Playa del Carmen, one block from the beach. I took a room with a window looking out over the main pedestrian street. At $41 per night, it was more than I had planned to pay, but I didn't care. I knew the Delfin would make a convenient base from which I could enjoy my time in Playa. I also believe I negotiated a discounted rate for a week's stay. The Wi-Fi was dependable, and they offered free spring water, so I wouldn't have to waste a lot of plastic. Once I was settled in the Hotel Delfin, I walked over to 100% Natural for whole wheat pancakes with a few of the girls from our trip who were in town a few more days. That night, everyone still in town met up for dinner at another of Gaby's restaurant recommendations, El Fogon Fiesta Jarocha, a taco place with a loyal following. El Fogon was easy on everyone's wallets, and both floors were packed when we were there. If you're still with me, what should come next is no big surprise. We returned to the same dive bar for the third night in a row. For our loyalty, the manager hooked us up with a free round of blue shooters. I had no idea what it was, but we all took one. The next day, I grabbed a juicy cheeseburger at Fusion, before walking down the beach past incredible sand sculptures and local kids playing soccer. I wanted to check out the ferry prices to Cozumel. On the far side of the pier was Senor Frog's, a famous restaurant and bar known for Spring Break parties. There were also larger hotels, though their height had clearly been limited, on the southern side of the pier. In the evening, I met up with a few of our remaining cast for Thai food at Babe's Noodles and Bar. In addition to a colossal strawberry daiquiri, I give them props for their Thai Red Curry with Chicken (148 pesos, $11). By now, I was in the Playa del Carmen groove. Sleep late, walk around lazily during the day, eat well, have a few drinks with friends each night. It was bliss. I also managed to find the time for that day trip to Cozumel, an overnight trip to Tulum (an hour south), go snorkeling with whale sharks, swim with dolphins, and drive a Ferrari F430. Ok, so the latter two I did from Cancun before leaving Mexico, but they're just as easy to do from Playa del Carmen. I mention them here because I was so unimpressed with Cancun, I'm not going to write about my time there. Playa del Carmen, on the other hand, is one of my new favorite places. Another reason I wanted to visit it was to evaluate whether it's a place I'd want to spend a few months. The answer is an emphatic “yes” but I also know my experience would have to be different. To keep costs down, I'd rend an apartment on the edge of the tourist area, not be in the middle of it. I wouldn't be able to eat out at the nicer restaurants every night, nor go out for drinks. In short, if I knew I had to work there, I know it'd change how I view the place. For that reason alone, I may choose to continue viewing it as a vacation destination rather than the place where I'll sit down to write my next book. 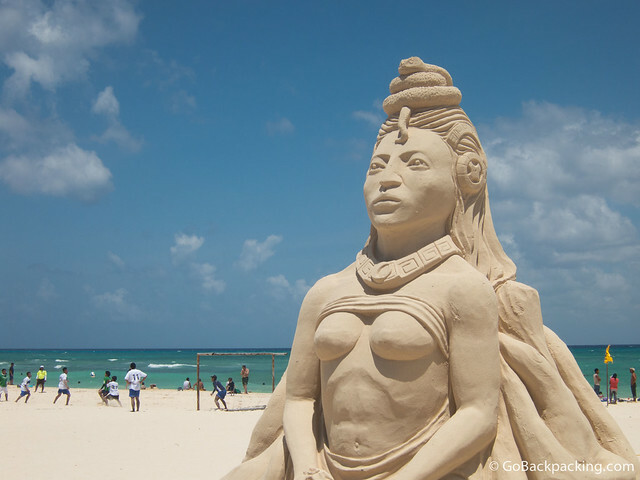 Have you been to Playa del Carmen? Share your recommendations below. can’t say I have ever heard of this place but it seems like a nice part of the world – must admit, im a sucker for these party towns! You mentioned some good restaurants and bars, but barely scratched the surface. So many off 5th Ave. Koolfish, Santitios, El Fogons, to name a few. 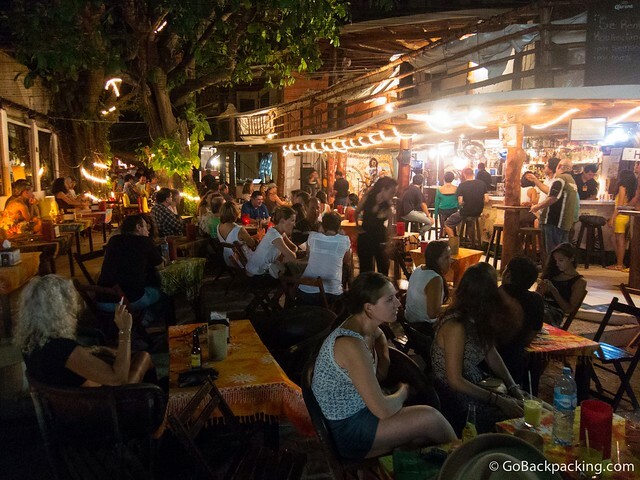 Playa del Carmen is truly the most unique town in the entire Mexican Riviera. 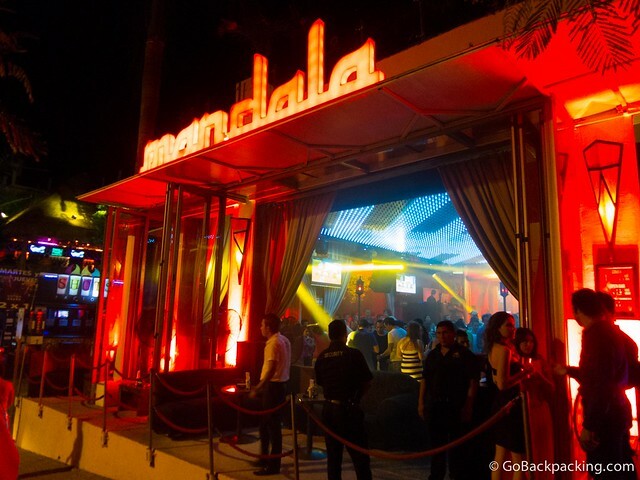 Where Cancun is Miami South, Playa is jewel. 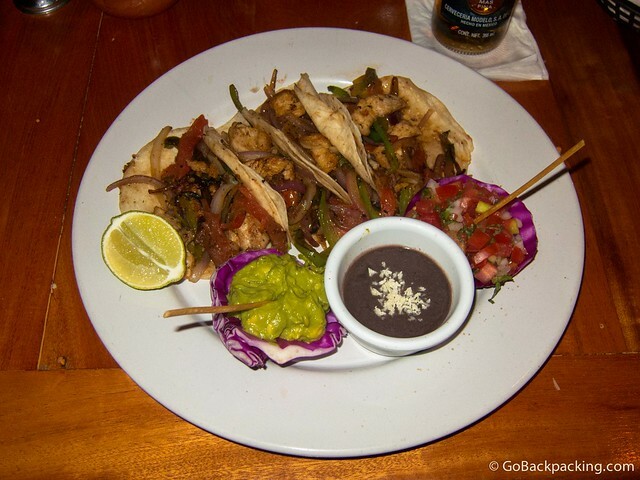 I did mention El Fogon, as we went there for tacos one night. I could write a whole separate post on just the restaurant scene, but I mentioned all the ones I went to and would recommend. It’d take me a few trips, or a few more weeks to get a better handle on everything that’s on offer. Looks like you had an awesome time! I’ve been dying to go to Mexico for years, and was thinking about possibly doing a tour through Wandering Earl if he does another one in Mexico, but now I’ll look into G-Adventures too. P.S. I went to university with your tour guide in-training. Had to do a double take when I saw the photo of you guys. Such a small world, especially for travelers! Lucky you, Alex was a lot of fun to have along on the tour! Fun times by the looks of it! I was in Playa on a G trip (when I worked for them) way back in 2004 and parts of it look the same from your photos. Good job on the eating “research” … lots of new places in that respect by the sounds of it. For beachy places…one of the spots I’d happily return. I was so glad our trip ended in Playa, instead of having started there and ended in Mexico City. I’d heard Playa had grown quite a bit in the last 10 years, so interesting to hear your perspective. Maybe we’d have to go back 20 years to see a marked difference. I have heard a lot of good things about Playa. I’d definitely like to make it down there. It seems like there are a lot of activities, not to mention the beach which looks great. Really appreciate your thoughts on finding a vacation spot for a few days vs. a writing spot for a few months. It can be hard to balance the two if you have to work and check out the sights simultaneously. I like the idea of living it up and spending more when you’re there for a short amount of time, and being more frugal when you’ll have plenty of time to enjoy the city. I’ve found big cities like Medellin and Lima better suited for getting work done. There’s a natural cycle to the weeks, between working on weekdays and taking it easy on weekends. In places like Playa and the islands of Thailand, it’s always the weekend, and it can create an unnecessary challenge to getting work done! $41/night seems reasonable to me for that place. Great vacation overall though, you really can’t beat a “Saturday night every night” when you’re goal is to just relax. Mexico always moves down the list as other destinations jockey for a higher spot but I really don’t have a good reason for doing so. Need to get to Playa soon! Playa del carmen looks really beautiful. I haven’t heard of this beach before but it looks like a fun place to visit. I have been to Playa and going back again in a couple months and had been to the dive bar you refer to with the giant Styrofoam cups and want to go back. What is the name of that bar? Thanks!